TigerTek is a leading source of servo motor repair services for Panasonic servo motors, providing lightning-fast turnaround time throughout the United States. With clients ranging from large corporations to smaller regional facilities, our technicians have logged hundreds of hours on Panasonic servo motor repairs in our 30,000 square foot UL-approved facility. All repairs are handled in-house and never outsourced - we take pride in providing top-notch technical expertise, great customer service, and very competitive prices. After being repaired using OEM parts & returned to factory specifications, all Panasonic servo repairs are vigorously run-tested to ensure reliability and performance at appropriate usage levels. All repairs include a 12 month in-service warranty. 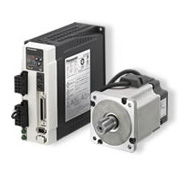 TigerTek provides repairs for all Panasonic servo motors across the entire product line, including the vast majority of discontinued motors. Discover the TigerTek difference - contact us today for great prices, great service, and industry-leading Panasonic servo motor repair.